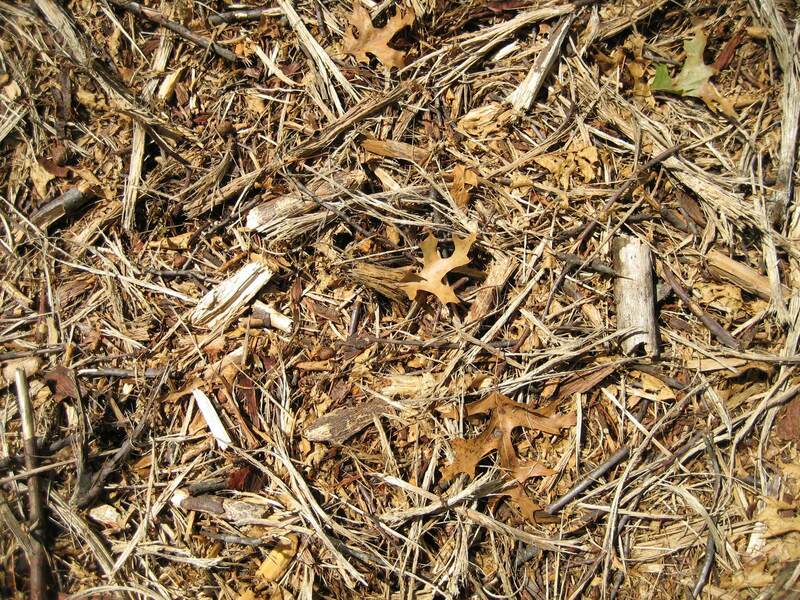 Do you need brush of invasive species mulched? We have a solution. Designed for high production, severe terrain, ease of maneuverability, and low impact, our equipment is the most advanced on the market. 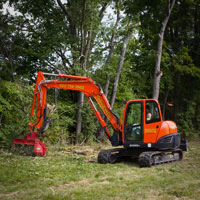 Our excavator machines are equipped with a Fecon mulching head, capable of grinding, chipping, or mulching trees up to 8″ in diameter. This machine excels climbing steep hills, reaching over bankings and fenced areas, and for selective cutting. 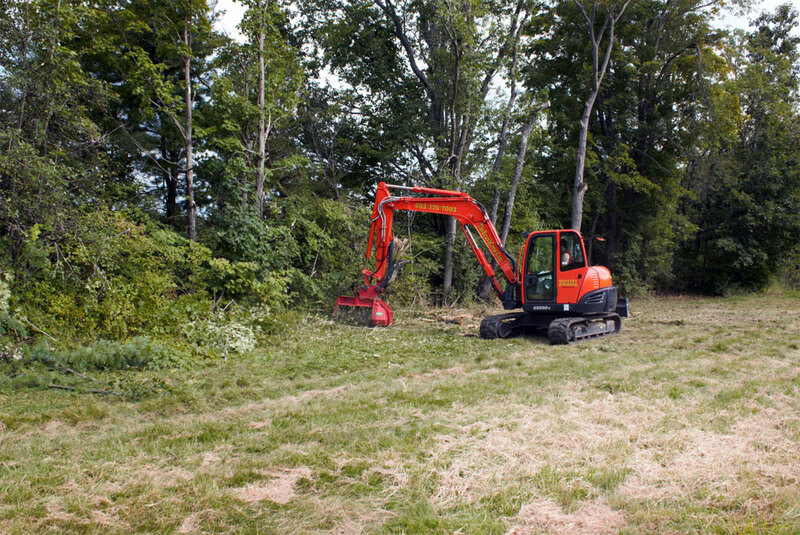 With low ground pressure and a 25′ reach, these machine are powerful, productive, and impressive at clearing dense vegetation. 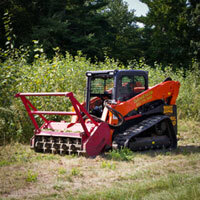 Our track loader machines are capable of mulching trees and brush 8-10″ in diameter into a fine mulch. 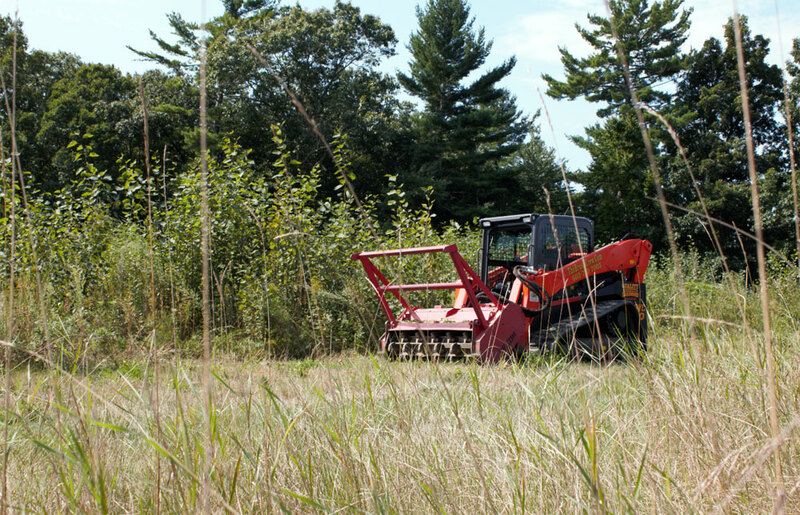 The SVL 90 features low soil disturbance and a Fecon Mulching head. This machine is easy to maneuver in and out small areas and produces large results.